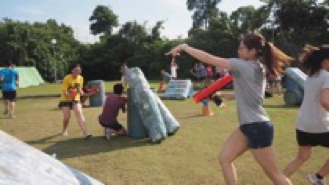 ae Nerf Challenge is played with a potentially limitless variety of rules and variations, which are specified before the game begins. In most game modes, players must attempt to accomplish a goal without being shot with pallets. ae uses non-penetrating nerf projectiles which are safe for corporate gameplay. 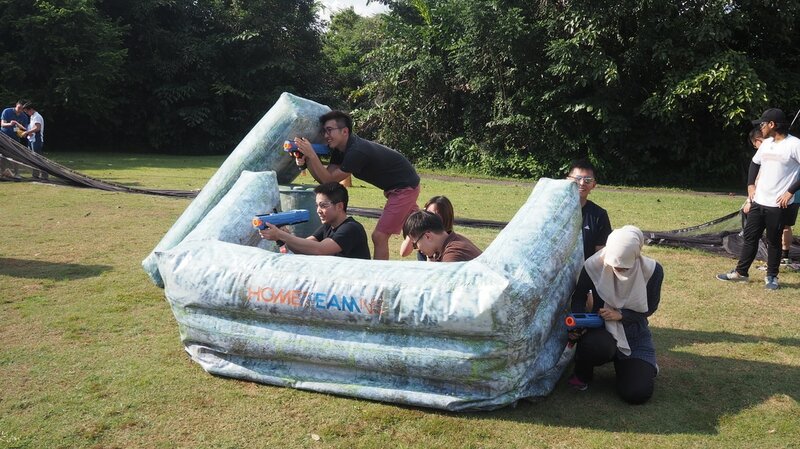 ae Nerf Challenge requires teams to plan, strategise and execute battle plans to outwit and outlast their opponents in a mock-battle scenario. 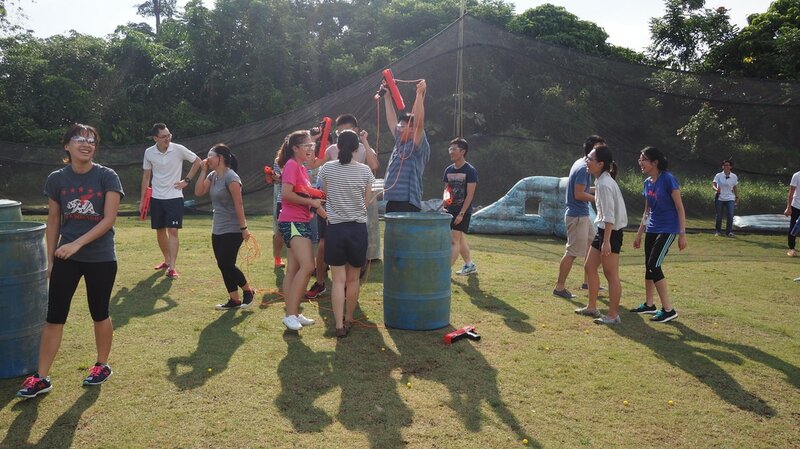 In this game mode, a member of a team is appointed as the Queen, whose objective is to move from their base to an 'extraction point' with the help of their teammates. 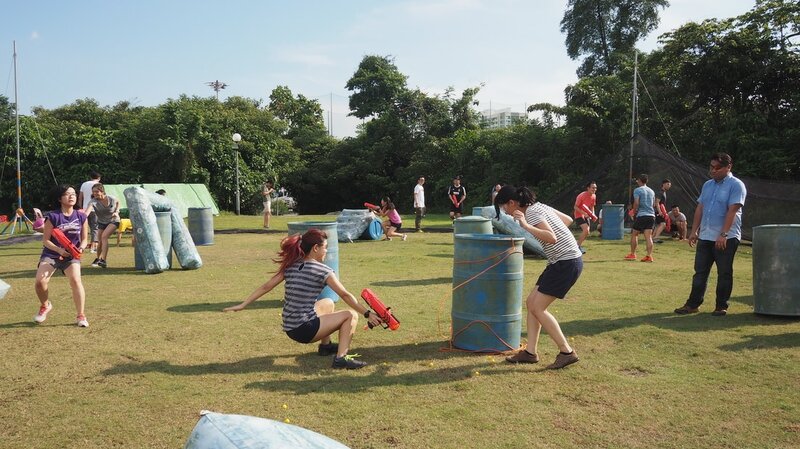 In this mode, teams are to compete against each other to be the first to complete an objective. One team is nominated to be the defending team and allocated a base to defend. ​Opponents are required to overrun the base within a time limit and raise a flag to signify accomplishment of the mission.